You are here: Home / New Literacy Studies / What Happened to Our Libraries? What Happened to Our Libraries? Libraries play an important role by adding to the cause of academic and education research. The quest for knowledge has led to the growth of an incredible amount of information. This search of knowledge has no limits and bounds and is always unsatisfied. It has been happening since the dawn of civilization to modern time. Information and knowledge are precious for all humanity and important to preserve. Libraries are developed for the systematic organization, maintenance, collection and the diffusion of information and knowledge. It is valuable to maintain and collect the important information and knowledge given in documents and books. The knowledge should be preserved for the next generations to come. After doing such things, the knowledge will be available to others and they will benefit from it. Establishing new libraries is an old concept. The need of collection and maintenance of documents guide to the establishment of more libraries. Libraries acquire a vital role in the modern civilization for research and education. They provide information to the needs of hundreds of people. In the last two centuries there has been an explosion of information via the development of Science and Technology. There are various rapid changes that have occurred with great pace. To fulfill the growing needs of the people the library system has been upgraded and improved to fight the challenges. Even the services provided by the libraries has undergone many changes. The traditional libraries having huge number of printed documents are transforming to paperless libraries and have a huge number of digitized documents. The networking facilities have also touched the base of libraries. Apart from being digitized the modern libraries are networked as well. To create libraries without walls is known as virtual libraries in which the user gets a chance to access information anywhere and at any time all over the world. This is done by use of the modern tools of communications like Internet facilities and computers. The satisfaction of the user is the main aim of the library these days. It has led to develop libraries that are known as digital and virtual libraries that follow the procedure of networking and digitization. 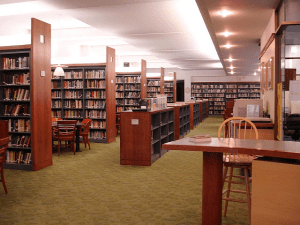 Hence, the uses of digital libraries are becoming famous because of the facilities and advantages provided by them to the users.